Do you have missing, damaged, or discolored teeth? Are your teeth severely worn down or misshapen? Or do you need to cover a dental implant? 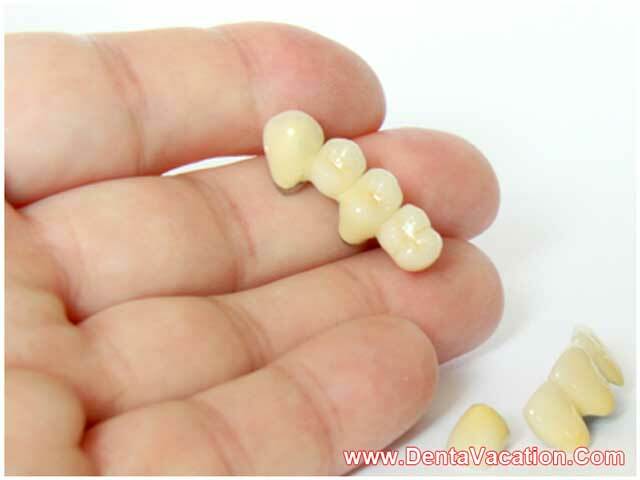 If your answer to any of these questions is yes, it is time to explore dental crowns and bridges in Pattaya – Thailand. According to the American Association of Oral and Maxillofacial Surgeons, 69% of the adults aged between 35 and 44 have lost at least one permanent tooth in an accident, or because of diseased gums, a failed root canal treatment or tooth decay. Furthermore, by the age of 74, almost a fourth of the adults have lost all of their permanent teeth. It is because of this increasing demand for crowns and bridges that dental tourism in Thailand has seen an impressive upward tick. A dental crown is a cap shaped like a tooth which is placed over a tooth to restore its original shape, size, and appearance. Made from a variety of materials such as stainless steel, and metals such as gold, porcelain-fused-to-metal, all resin, or all ceramic, dental crowns are cemented into place so as to fully encapsulate the visible portion of the tooth, at and above the gum line. As the name indicates, dental bridges join the gap formed by missing tooth/teeth. A dental bridge is formed by crowning the natural teeth or implants on each side of the gap and false tooth/teeth in the center. The false teeth in the middle of a dental bridge, which are known as pontics, can be made from various materials like gold, porcelain, and alloys. If you are looking for a low-cost smile makeover, head to avail crowns and bridges in Pattaya. You will find plenty of reasons to smile! Why Pattaya for Your Dental Work? According to a 2008 Deloitte report titled Medical Tourism–Consumers in Search of Value, patients can find medical treatment in specific countries such as Thailand at a fraction of the costs charged in the US, Australia and the UK. Indeed, they could pay as little as 10 percent of the American prices. Whether you are seeking dental implants in Phuket or dental crown and bridge restoration in Pattaya, the cost of dental care in Thailand will come as a pleasant surprise. In some cases, you could save almost 40 to 60 percent in costs. You will find a number of dental clinics for your treatment using cutting-edge technology and topnotch equipment. Patients can schedule procedures such as low-costcrowns and bridges in Thailand with minimal waiting time. Given the top rated dentists of the country, patients seeking teeth caps in the Thai city should set aside their dental anxiety. The highly qualified dental professionals providing crowns, bridges and dental implants in Pattaya have a minimal basic proficiency in English. So your questions about getting metal-free crowns and bridges in Pattaya will not be impeded by language barriers. 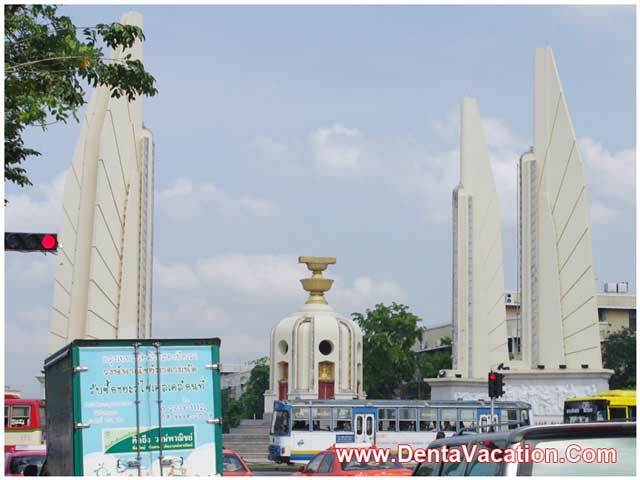 The Thai dental hub is known for its glorious beaches and exotic nightlife. So take the advantage of its many offerings as you recuperate from your dental treatment. Do your own research before settling on a dental tourism package. Whether you are seeking teeth whitening or all-ceramic crown and bridge in Pattaya, make sure that you are using accredited services. Under Thai immigration rules, every non-Thai traveler has to carry a current passport. While U.S. citizens don’t require a visa for a stay less than 30 days, they are limited to 15 days of visa-less stay in cases of land-entry. Read all the travel advisory issued by the U.S. Department of State. Consider signing up for the Smart Traveler Enrollment Program so that the State Department can assist in times of emergencies. With its accredited dental clinics, empathetic dental professionals, and the low cost of dental crowns in Thailand, patients are likely to find solutions to their missing teeth in this tiny Asian country. So if you are looking for the bonus of some fascinating travel experiences, head to the sublime shores of Pattaya for dental crowns and bridges. You are likely to return home with an album full of smiling pictures! Fill out the estimate request form on the right to receive more information about dental crowns and bridges in the Thai dental hub.